Highly desirable for its prized setting in one of New Lambton's neighbourly streets, this weatherboard and iron home is positioned on a secure allotment with no fuss surrounds and rests an easy stroll to the local school, popular cafes and child friendly parks. Its traditional three bedroom layout is move in comfortable while offering abundant future scope to renovate and add substantial value. 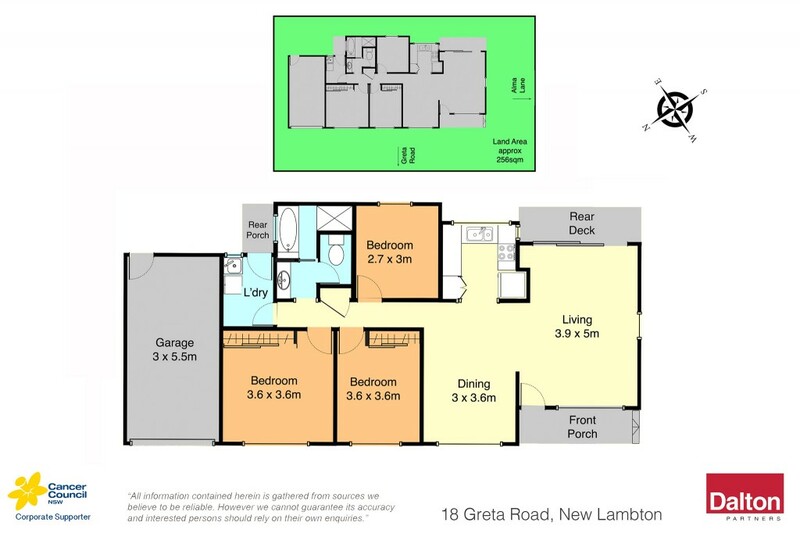 * Great opportunity to buy into the coveted New Lambton market. * Air conditioned living/dining space adjoins a gas equipped kitchen. * Three way bathroom, internal laundry with outdoor access. * Off road access to a lock up single garage. * Community minded suburb prized by young families. * Must be sold under instructions from NSW Trustee & Guardian.